Patients with gastrointestinal tract and intra-abdominal malignancy have a significant number of complications and very limited life expectancy. By defining patients at high risk preoperatively, it can help us guiding in deciding surgical interventions and explaining prognosis for patients. The objective of this study was to evaluate the effectiveness of hand-grip strength (HGS) as a predictor of surgical outcomes in gastrointestinal tract and intra-abdominal malignancy patients with reference to complications and mortality. 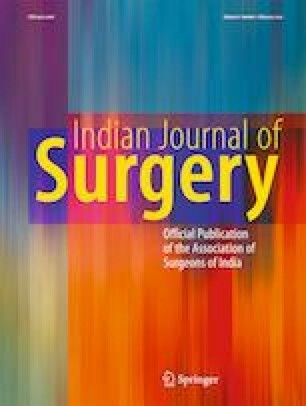 This was a prospective cohort study of 60 patients with gastrointestinal tract and intra-abdominal malignancy from November 2014 to December 2015 at the Department of General Surgery at SSG Hospital, Vadodara. Hand-grip strength was noted preoperatively using a hand-grip strength dynamometer. Patients were divided in two groups of 30 patients with one group having normal HGS (> = 25) and the other with low HGS (< 25) Compared to normal HGS group, patients with low HGS had higher number of complications (21 vs. 8) and mortality (12 vs. 2). ICU stay and overall hospital stay were also longer in low HGS group patients. Hand-grip strength is a simple and effective predictor of surgical outcomes in malignancy patients with low cost and ease of use as a routine preoperative tool.